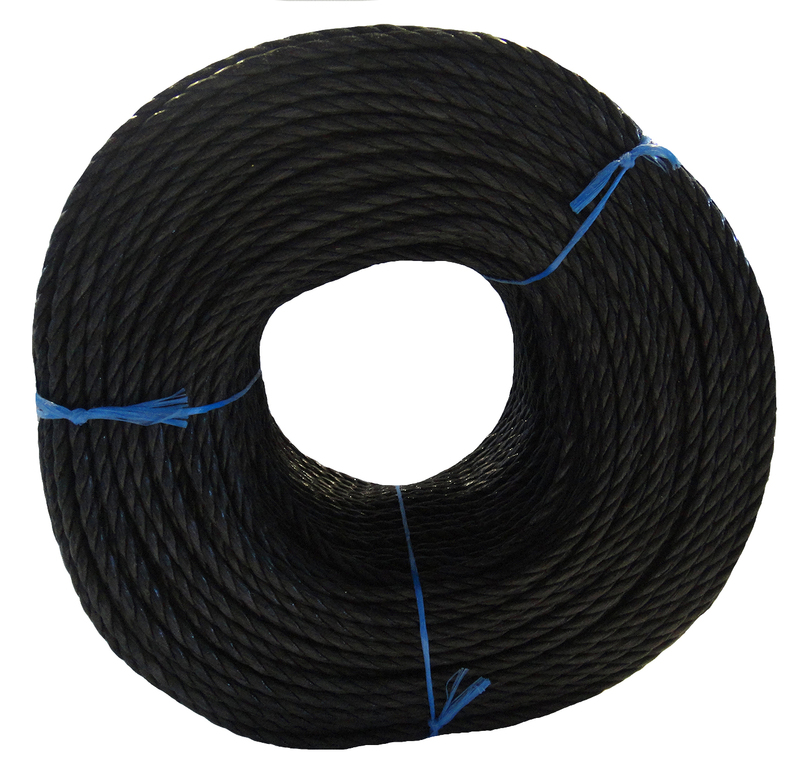 10mm Black 3-strand twisted split-film Polypropylene rope supplied in a bulk 220m coil. 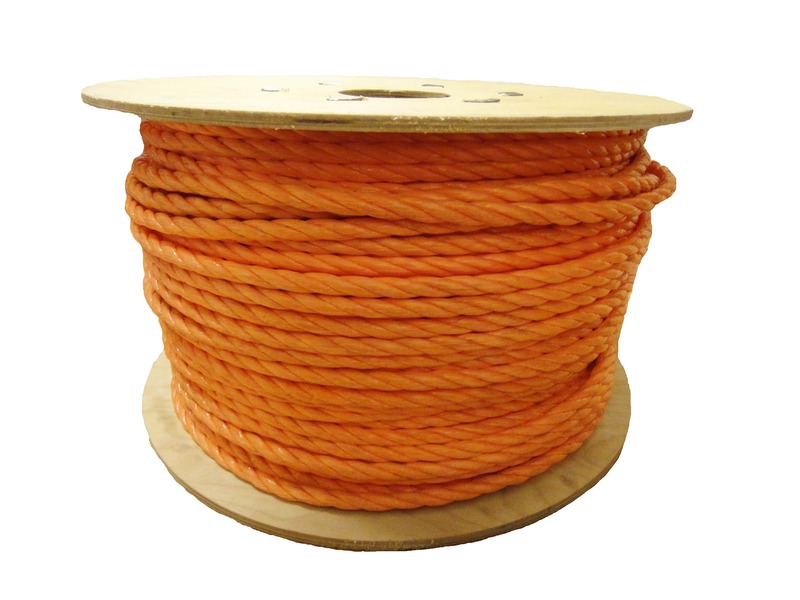 This rope has an approximate breaking strain of 1,425kg. * PLEASE NOTE – All tensile break strength tests are carried out to ensure that product & manufacturing processes are being met. 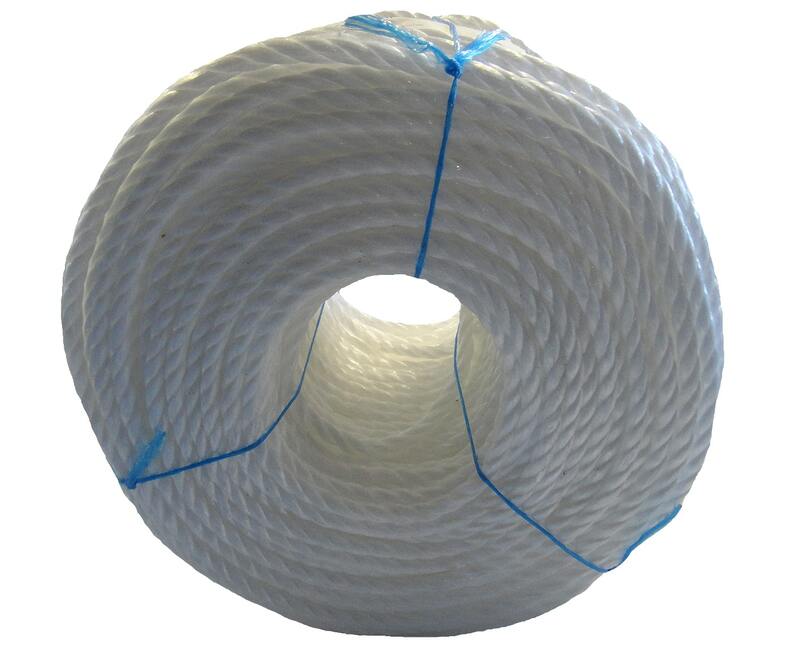 These tests are not a certification for the product when it is to be used in a lifting or pulling process.